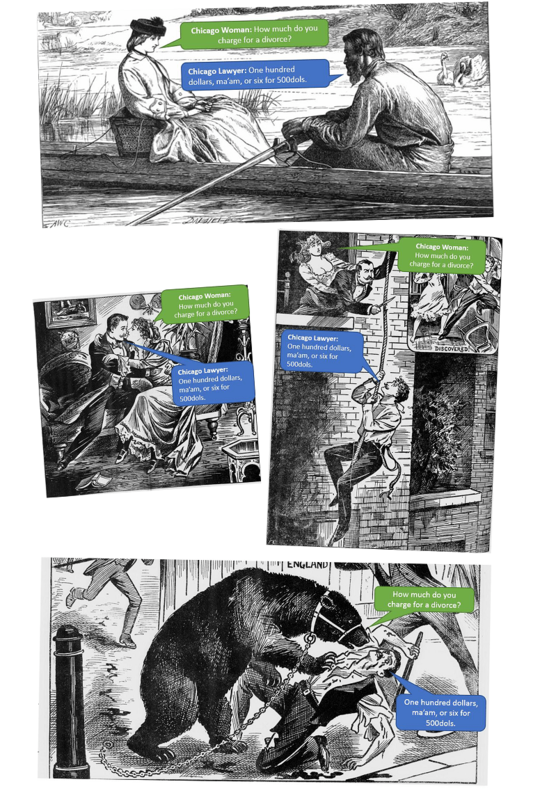 Home/Featured/Introducing… the Victorian Meme Machine! What would it take to make a Victorian joke funny again? Nothing short of a miracle, you might think. After all, there are few things worse than a worn-out joke. Some provoke a laugh, and the best are retold to friends, but even the most delectable gags are soon discarded. While the great works of Victorian art and literature have been preserved and celebrated by successive generations, even the period’s most popular jokes have now been lost or forgotten. Fortunately, thousands of these endangered jests have been preserved within the British Library’s digital collections. I applied to this year’s British Library Labs Competition because I wanted to find these forgotten gags and bring them back to life. Over the next couple of months we’re going to be working together on a new digital project – the ‘Victorian Meme Machine’ [VMM]. The VMM will create an extensive database of Victorian jokes that will be available for use by both researchers and members of the public. It will analyse jokes and semi-automatically pair them with an appropriate image (or series of images) drawn from the British Library’s digital collections and other participating archives. Users will be able to re-generate the pairings until they discover a good match (or a humorously bizarre one) – at this point, the new ‘meme’ will be saved to a public gallery and distributed via social media. The project will monitor which memes go viral and fine-tune the VMM in response to popular tastes. Hopefully, over time, it’ll develop a good sense of humour! 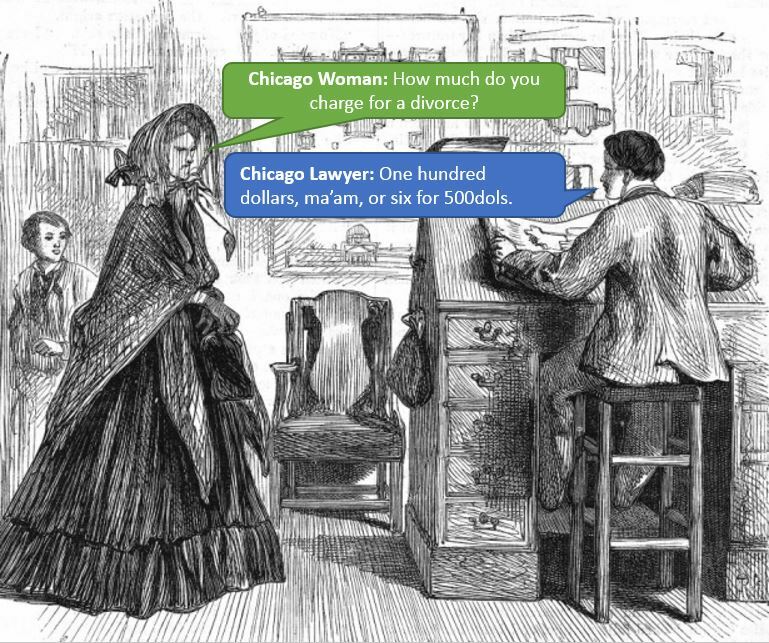 Chicago Woman: How much do you charge for a divorce? 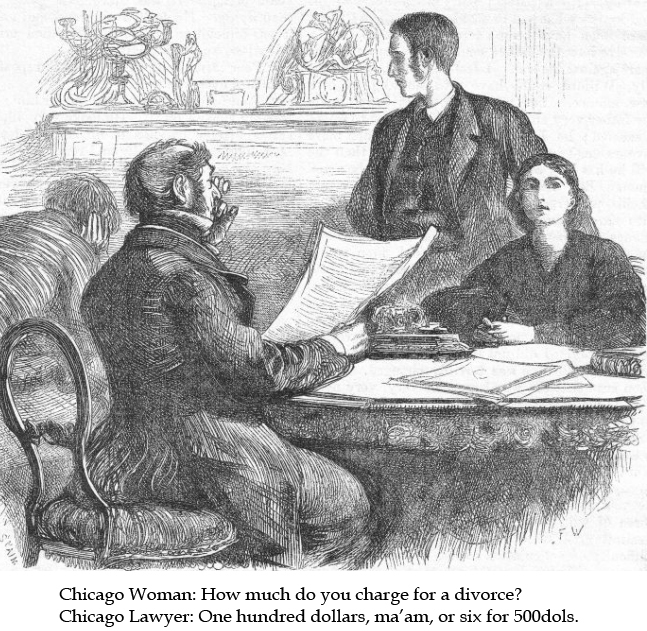 Chicago Lawyer: One hundred dollars, ma’am, or six for 500dols. These are just some early examples of what the VMM might offer. When the database is ready, we’ll invite the public to explore other ways of creatively re-using the jokes. Together, I hope we’ll be able to resurrect some of these long-dead specimens of Victorian humour and let them live again – if only for a day. This post originally appeared on the British Library’s Digital Scholarship Blog.